surgeon shortages in the future, this program is timely and hopefully will promote early decisions to join our noble profession. The SAGES Mini Med School is designed to expose high school students to the field of Surgery through hands-on experience and simulation. 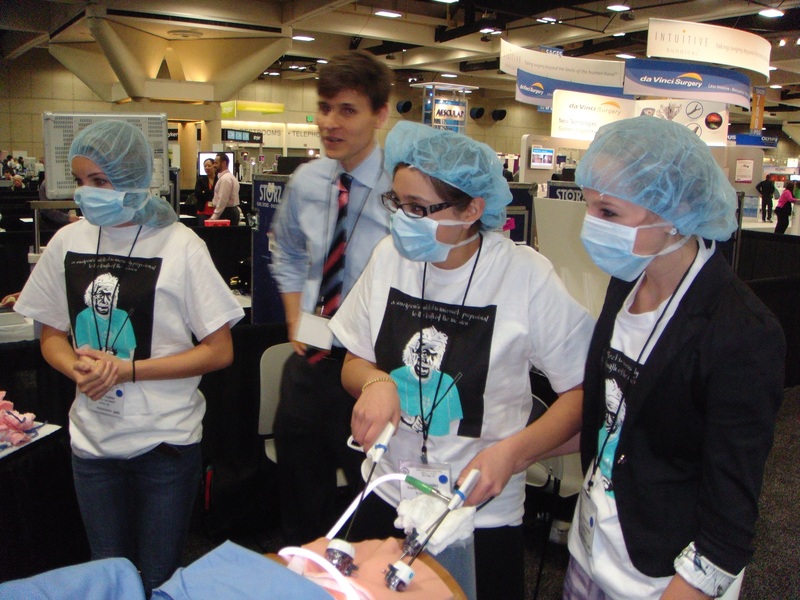 Students will begin to appreciate that being in the OR is rewarding, important work, and fun. 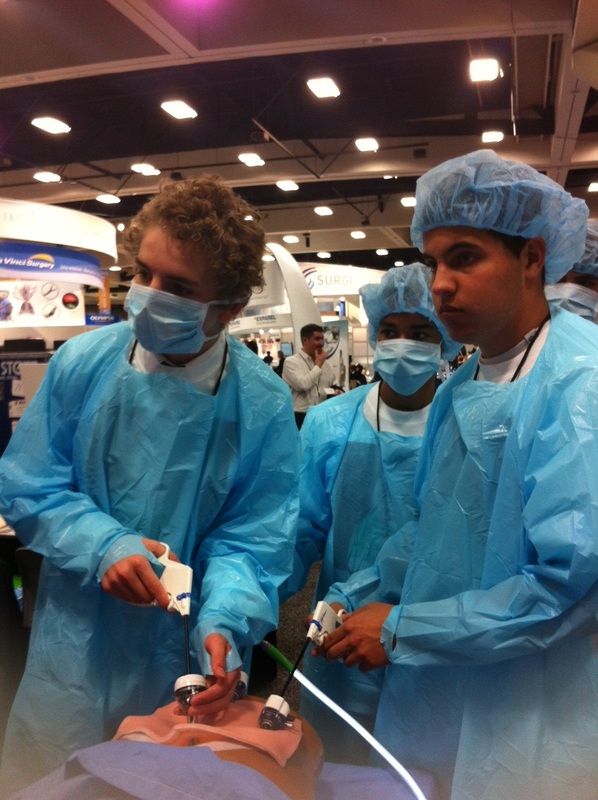 To maximize exposure, real life surgeons/volunteers will mentor the students throughout the program. The Mini Med School Experience is a power packed extravaganza that provides “fun with a purpose”. 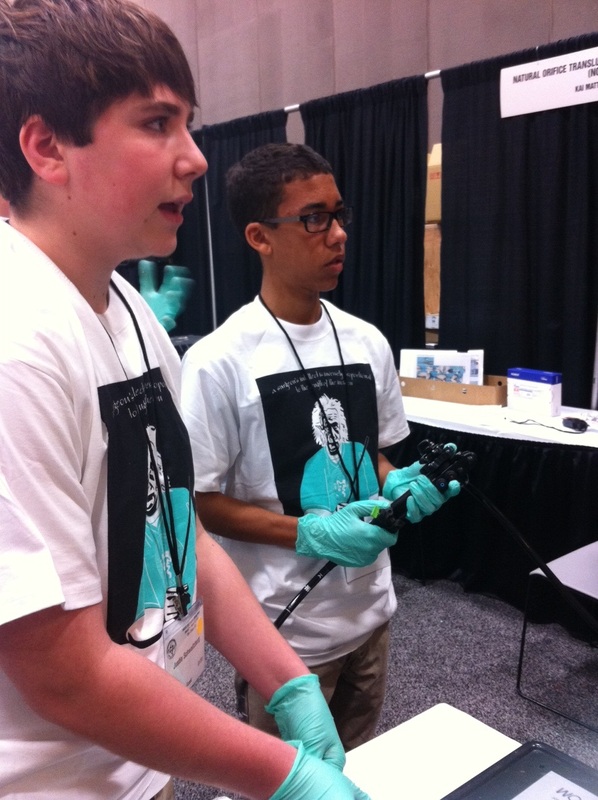 Students will get the opportunity to show that they have the “right stuff” to join the ranks of physicians and laparoscopic surgeons. From video games that help decrease errors, to robots, to FLS and Top Gun surgical simulation drills. Make sure you do not miss this one of its kind opportunity. The program is held on Saturday and therefore will not interfere with the school week. The program is of no charge to the students but there are only 100 spots available and each student has to send in a letter of support from teaching or counselor staff at their school. Download and submit simple Student Application Form to SAGES by March 31, 2015 to guarantee your spot in the boot camp. Students must submit to their teacher/counselor to fill in their statement of support and then forward to SAGES via email to minimedschool@sages.org or fax to 310-437-0585, attn: SAGES Mini Med School. Selected students will be notified if they have been chosen to attend. Parents are responsible to get their children to the program and back home. Lunch will be served. The students will receive a certificate of participation as well as the possibility of winning special recognition awards. We also have School Support Letter available to download, you can share with high schools that may be interested in promoting this to their students.